This was a boyfriend of my Granny,. He was killed in action in the First World War. She was called Agnes Edminston and came from Crossmyloof Shawlands, the close was knocked down to build the Co-op in Pollokshaws Rd. 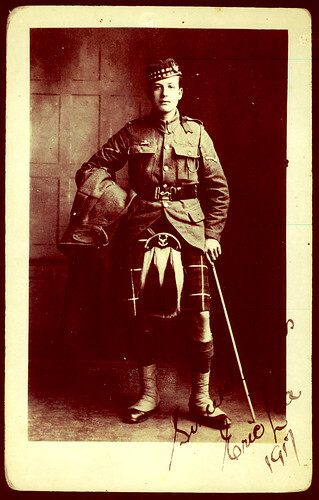 She married Jimmy Gilles who survived service at Gallipoli.